They store things, nice things come in them, and who doesnt remember playing around with a washing machine or fridge box when they were younger? Lately we’ve been buying boxes of nappies as its ALOT cheaper than small bags worth – but i’ve been keeping the boxes just incase they would be good for storage or something for our little man to play with. 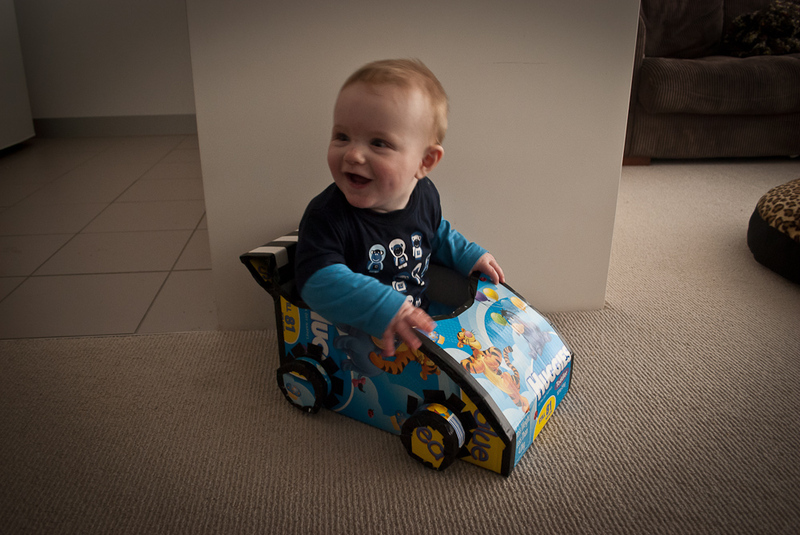 In my mummyinsanity one day I decided to make a car out of one of them…. 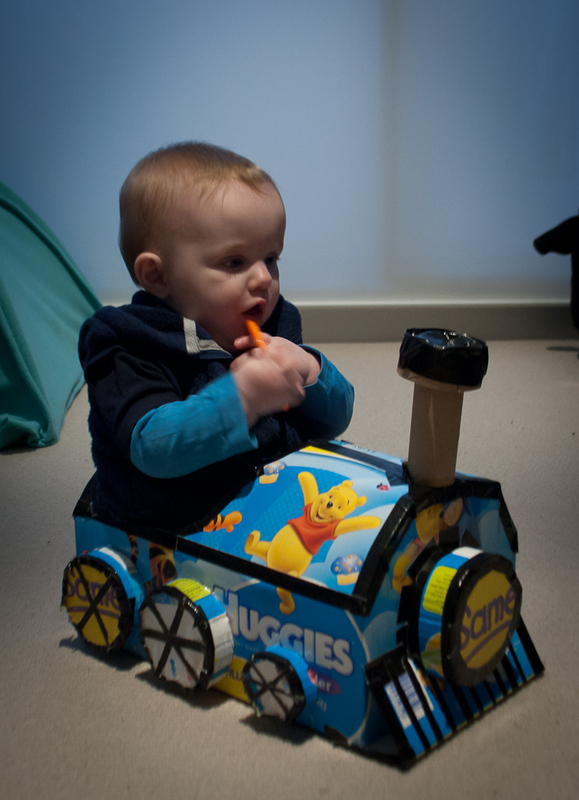 a couple days later the mummyinsanity arrived again and a train was born! NOTE TO SELF – Spouts of trains will only remain on train for 1 minute tops! 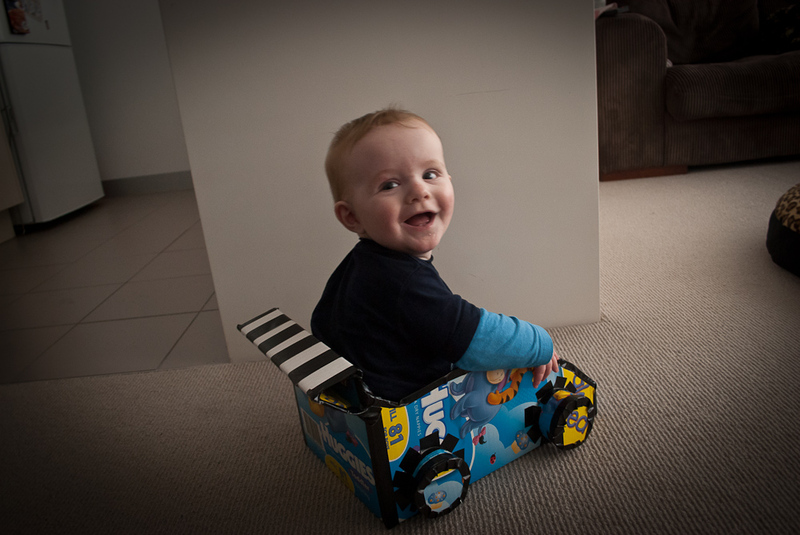 I now have 2 boxes waiting for mumminsanity to arrive again, my next plan is a plane and a rocket ship! 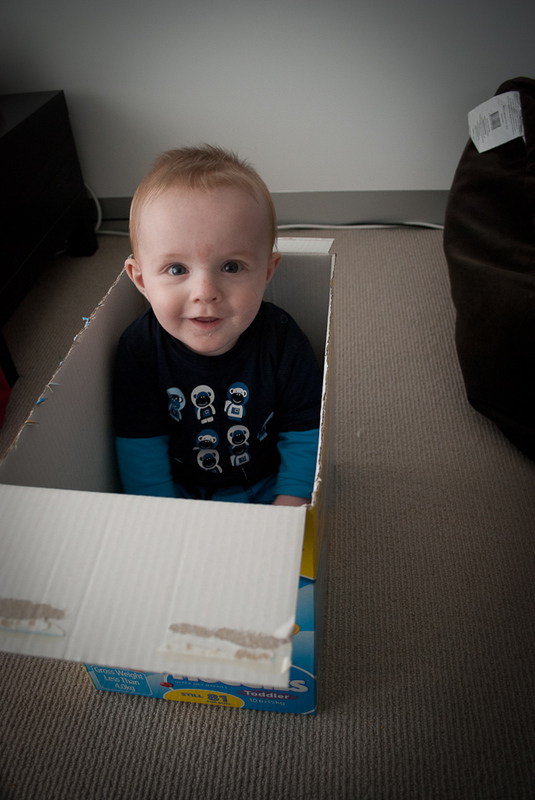 What was your favourite thing to do with a box when you were younger?? ?